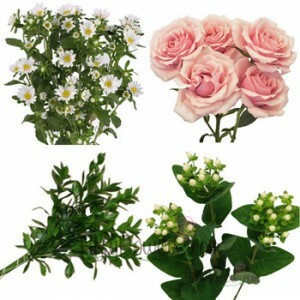 Home Flower Care	Make it Easy with DIY Flower Combos from FiftyFlowers.com! 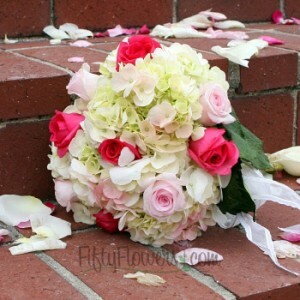 Make it Easy with DIY Flower Combos from FiftyFlowers.com! Our Flower Combos give you beautiful, fresh cut wedding flowers that are boxed together in correct quantities, so you can make your own wedding flower arrangements, bridal bouquets, and more! 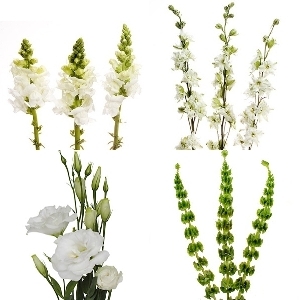 Customize your flower combo by choosing your own colors and your choice of fillers and greens! Plus, Order this week and Save 10%! The Centerpiece with Height Combo Pack is great for adding height, is one of my favorites and it comes in your choice of white, pink, or purple/lavender. Our Make Your Own Flower Centerpiece Combo Box is another popular choice with sweet spray roses in 7 different colors and a great selection of fillers and greens. The Beautiful 50 Rose Wedding Pack would be great for smaller weddings, and could be used to create bouquets or centerpieces. 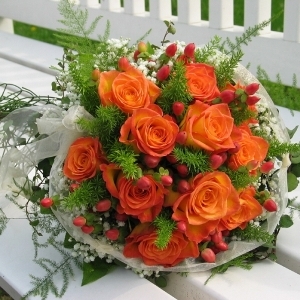 This pack features 50 Roses, in your choice of colors and 3 bunches of the filler flower of your choice. It is then finished with 1 bunch each of Leather Leaf, Lily Grass and Tree Fern. The DIY Wedding Pack 100 Roses and 15-20 Hydrangeas, features your color choice of Roses and Hydrangeas, then you choose from 10 bunches of filler flower, 5 bunches of hearty greens, and 5 bunches of soft greens! That’s a whole lot of flowers for a little price tag! What are you waiting for? Head to FiftyFlowers Now to Save! Featured FiftyFlowers Review: Beautiful and Beachy!